My first reaction, as a red-blooded Canadian, was to question the ancestry, physiology, and various appetites of the driver in various creative monosyllables. My Canada welcomes a diverse range of people. My Canada is a delightfully multi-ethnic, multi-cultural, multi-religious country. People who don’t fit in stand out, and those who stand out have been among the greatest contributors to our national and global heritage. I got home and started unloading my rant on my patient and understanding life partner. So, in the end, I agree with the bumper sticker. Everyone who wants to is welcome to fit themselves in to the rich, multicoloured tapestry of Canadian society. And if they aren’t willing to live alongside the rest of us in peace and cooperation, they can f[ly] off. Today is Openly Secular Day. It’s a reminder to non-believers of the benefits of being open about your non-belief. It’s also a gentle nudge to those of us who are able to be open, to tell friends, family, and others who we are and what we believe. At the Openly Secular website, there are videos of many people, of varying levels of fame, discussing their atheism. I don’t think anyone reading this blog will be surprised to learn that I am not religious. But maybe some of you also identify as atheists, humanists, or some other non-believing label, and have not yet told anyone. If you want some practice, I invite you to try it out here. Or, if you need a venue that’s a little less public, message me privately. Now, I also know that there are many people in my circle of family, friends, and readers who are not secular – who hold some form of religious belief. That’s awesome. But this post is not the place to hash out the arguments (any more than a church service is a good place for an atheist to start putting forth arguments against God’s existence or Jesus’ divinity). Oh, and if you’re reading this one some other day, it’s still a good time to come out, however you are able and comfortable. And if you are not able to come out, that’s okay. There are certainly times and places where it is not only uncomfortable but frankly unwise to talk about this stuff. I may be open about my atheism, but I never, ever discuss it in my university classes. It just isn’t the place for it – my role there is as an authority on linguistics, and I don’t want any student to get the impression that they would experience negative consequences for being open (vocally or visibly) about holding some other belief. It’s election season again here in Alberta. Last time I ranted about this (here, here, and here), I was living abroad. Now, I’m right in the thick of it. 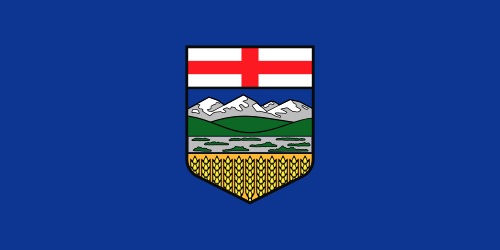 I’ve been living back in Alberta with my family now for four years. We have put down roots here – bought a house, established good jobs in the city in our chosen fields, reconnected with family and friends. And I have a whole new swath of rants. Most of them, I will confine to private complaints shared with Deena, but I think a few deserve to be aired more widely. First, on a personal note, I want to declare my deep dissatisfaction with politics. It’s an ugly, depressing, foul window into the dank recesses of human nature, recesses that are more concerned with power and image than with substance. So, you know, politics. What are you gonna do? With that out of the way, I want to offer a little meta-observation. I noticed, as I was browsing the platforms of our parties and candidates, that my own impulse to tribalism kept wanting to take over. For candidates or parties that I identify with, I want to let vagueness slide. “It’s a platform – they only have room for so much detail.” “I’m sure they would work that out in a way I like.” And if I don’t identify with them – especially if I identify myself in opposition to them – they get the opposite: “They’re evading responsibility by offering empty words.” “I just know they’d find a way to wiggle out of that (apparently sensible) commitment.” Even when they’re not vague, I am inclined to trust or distrust specifics according to my own prejudices. This is a very important thing to remember. I really don’t like the idea of identity politics – of saying, “This is my team, so I’ll ignore their faults and exaggerate their virtues and treat anyone on another team as the enemy.” That’s divisive and unhelpful, but it is a deeply human way to look at the world. One of many human traits that this humanist strives to overcome. And, getting past that, I see that most of the parties are essentially saying exactly the same thing. Even when it sounds like they’re not. For example, the Wildrose Party* promises to “Expand the use of clean burning Alberta natural gas and propane for industrial and residential electricity production and transportation”. Which is all about promoting Alberta’s fossil-fuel-based natural resource economy. On the other hand, the Liberal Party promises to “phase out coal-fired power plants by 2025”: a clear commitment to cleaner energy, reducing our reliance on the worst-polluting energy sources. At the end of the day, I have the same choice that citizens in democratic countries everywhere have to make: which person or party is the least bad? I am zeroing in on my favorite. I don’t think I’ll have to resort to ballot eating. But I would like to close with two pleas which I have made before. First, if you can vote, do it! For all that we whinge and complain about the type of people that we have to choose between in our political system, democracy is still less bad than any of the alternatives. And if you’re going to vote, have a little respect for the power you are wielding and try to get informed. Don’t just vote along identity lines. Find out who is actually promising what, and vote for the person you think will create the change you want (or prevent the change you don’t want). I honestly mean this, whether you vote the way I do or not. And second, can we please, please try something more informative than a single-mark ballot? Transferable votes are easy to fill out, and give me the option to vote my conscience without worrying that I’m letting the Awfuls in by not voting for the mediocre-but-more-likely-to-win party. As it is, I am sometimes inclined to give the whole thing a miss because it seems so likely my vote will end up counting for nothing. Electoral reform could help to solve the voter apathy problem that is rampant in Alberta, as in so many other places. Okay, I’m done for today. Maybe my next post won’t be a rant. Have I become a cranky old man? Might have to merge with The Not-Quite-So-Friendly Humanist (written by an old friend of mine). Or start the “No Longer Friendly Humanist”. * The Wildrose Party is our current contender for far-right – think a slightly more moderate Republican party. (Oh, how I’m glad to be Canadian!) The wild rose is the provincial flower of Alberta. ** The NDP is the most left-leaning of the main four parties. Roughly, from left to right, they are conventionally ordered NDP, Liberal, PC (Progressive Conservatives), Wildrose. Hi, my name is Tim, and I have a problem with apologetics. On the one hand, I want to remain open-minded: open to new ideas that don’t fit with my existing beliefs; open to the possibility that I’m wrong about important things. I want to be a person who can see both the positive and the negative of an idea, whether it’s an idea I want to believe, or one I want to reject, or one that I’m indifferent to. On the other hand, I’ve read a few works of religious apologetics. They have all been singularly lacking in philosophical rigour, scientific literacy, or open-mindedness. They have been disappointing. And that makes it hard to give the next work of apologetics a fair hearing, because I can already hear all of my well-exercised objections starting to clamour for attention, almost as soon as I open the cover. So, when I crack into a new work of apologetics, I feel the cynicism, the disgust, and the contempt start to bubble up. And that’s not the type of person I want to be. I am not a cynic. I am not a contemptuous person. My solution, for the moment, is to go cold-turkey on reading apologetics. No more giving them the benefit of the doubt. No more slogging through mind-numbing obsequiousness or self-congratulatory drivel to determine whether some new apologist has an amazing insight that I haven’t yet come across. If you are a believer and think there is a knock-down argument, or even just a thought-provoking speculation, that I should be exposed to, please share it with me in the comments section. I am still determined to remain open to dialogue. Anyway, rant over. Also, happy Earth Day everyone!